It would be good to spend some time letting ourselves be touched by the setting of the story. This is a unique moment in human history – God’s power at its height; a sacred moment, too, when the great high priest is reconciling the world to God. But what do we see? Two human beings standing by each other, nothing more! What a judgement on how the world judges greatness – or holiness – whether of people or of places! The first section is made up of the various groups that mock and revile Jesus as he hangs on the cross and its content is found in all three of the synoptics. However, while Matthew follows Mark in both content and sequence, Luke re-arranges the material. Why he does this is not clear. The second part of this scene suggests that he wants to create a deliberate contrast between the expectations of those who mock Jesus as a fraud and the genuine way that the Royal Son of God, the Christ – when he is actually with humanity – behaves in history. This petition from the ‘good thief’, as he has become known in the tradition, then brings out Luke’s even deeper irony: the false perceptions of the Christ and of the Royal One elicit nothing; but the call in need elicits the divine words of mercy: ‘Today you will be with me in paradise.’ The irony points to the paradox at the heart of the mystery of the incarnation in Luke that can be seen from his crib scene (2:7) right through to this moment: there are the expectations of power, might, and noise from the Christ of God, yet there is silence, suffering and powerlessness. When there is a divine judgement, a word of divine power (‘truly, I say to you’), and a display of divine knowing, it comes in response to a cry of need from a suffering criminal, on his own cross. 0. Just such a contrast of expectations is at the heart of today’s gospel: the accusers think they know how the Christ will or should behave; but the reality is radically different. Today’s doom mongers are just as certain about the end, but we celebrate the end as Christ being all in all, ruling over all in love, and establishing peace. At this point it might be word read­ing the central section of today’s preface. 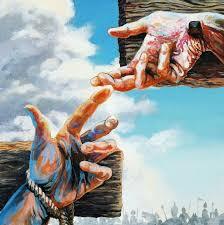 Jesus couldn’t do much for the man on the cross… his own hands were nailed. He couldn’1 take him off, but he gave him more than he could ask for. He gave him paradise. Where is God in our suffering? What sort of hope can we find this week in our country? What with so many horrible atrocities taking place, and the economic mess we have. What has God and the Church to say? God in his love for his people, and the Church with its social teachings – have they any message of hope? Where is God? God did not cause the recession nor murders. We may learn a lot through it and good may come later or now. Our suffering at the moment is of human making. Not of our making, but of some of our leaders and bankers, mostly through greed. God is with us suffering like he was with the thief. 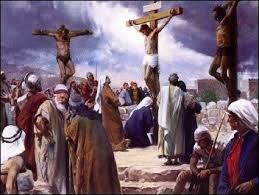 He didn’t cause the suffering of the man on the next cross to him. He wants our happiness and wants justice and prosperity for all. God is with us, holding our hands, asking us to support each other. The Church will offer a place and space to find the love of God, and its social teaching will ask us to look for the common good in the future. It offers also a place where we can hear the Church’s approach to our economic future, reminding us all the time of the needs of the poor and the ordinary in education, medical care, housing and the ways in which the very old and the poor will suffer most in a situation which has been none of their doing. We are the Chinch and called on to make our voices heard for those who, like the man on the next cross, have little voice except to ask for help. In Luke’s account of the crucifixion, only the “good thief” recognizes the grave injustice that is taking place. In recognizing the innocence and goodness of Jesus, he is able to see and accept responsibility for his own sinfulness and need for forgiveness. With that realization comes hope – the thief understands what even Jesus’ closest disciples do not: that God will vindicate the injustices of this life in the fullness of the next. Two veterans visit the Vietnam War Memorial in Washington, D.C. With tears in their eyes, they touch the names etched into the black marble: the names of their brothers with whom they served in Southeast Asia and with whom they were imprisoned by the Viet Cong. “No, never,” his friend replies. On this last Sunday of the liturgical year, we stand on the edge of paradise; we look through the doorway of heaven. In his promise to the “good thief,” Jesus opens the door to true freedom; he invites us to enter Paradise here and now; he has established the reign of God in our time and place. All we have to do — and it is no small thing — is put aside our hurts and slights, drop our demand for restitution and vengeance, realize our need to be re-created in the love of God. The thief crucified with Jesus recognizes that need in himself and calls out to Jesus — and Jesus, in the last, painful moments of his own life, responds with compassion and hope. 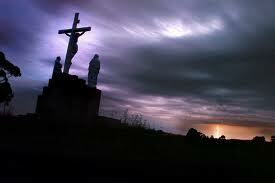 In the shadow of the cross, we are able to finally admit our need for healing, for peace, for God. In acknowledging our own need to forgive and be forgiven, to love and be loved, to give and be ministered to, Christ’s promise of Paradise is ours. In the first reading from the Book of Samuel we hear that though David was anointed King, the northern tribes later acknowledged him as their king. Thus David became king of a united country. His kingship prefigured the universal kingship of Christ. The Church chose this passage not to let us know of a historical event, how David became king, but to stress two important qualities of Christ the King: Firstly, that Jesus our King is “one of us.” We are “your flesh and blood.” Secondly, that Christ is king not of just two of the twelve tribes, not of one nation but of all mankind. Sometimes Americans wonder why the English bother with the monarchy, since the Queen is little more than a figurehead with no authority. Yet within most people there is a wish for a person whom we can look up to, someone who personifies dignity and wins our respect, a person who makes us feel better about ourselves. Many Americans found that kind of a person in the election of John F. Kennedy as President of the United States. He was young, handsome, intelligent and articulate. He was married to a beautiful woman who, it seemed to us, had become his Queen. The White House became known as Camelot. The United States had a family to whom many Americans attributed royalty. But on Friday Nov. 22, 1963 the dream was shattered with the President assassinated. The dream of Camelot was gone and the illusion of royalty was dimmed. All along we had been looking in the wrong direction towards the White House as if it were a palace. We should have been looking back to Calvary because the cross is truly the throne of Christ the King. We do not need an earthly sovereign to give us self-respect. Our King is truly royal. His kingdom is not an imaginary Camelot. It is an eternal and universal kingdom, a kingdom of truth and life, a kingdom of holiness and grace, a kingdom of justice love and peace. Our King is Christ the Lord. Today’s gospel scene that proclaims the kingship of Jesus is, surprisingly, the crucifixion. Only on the cross is Jesus proclaimed king. There is high drama here, and a remarkable paradox. Those in authority jeer at the notion of the crucified Jesus being God’s Chosen One or the King of the Jews. It is in utter helplessness that Jesus is recognized as king. There could not be a better picture of the kind of king Jesus is than the one pictured in today’s gospel: Luke shows Jesus on the cross surrounded by various people – By Jewish leaders and soldiers who mock him, by thieves crucified on either side of him. 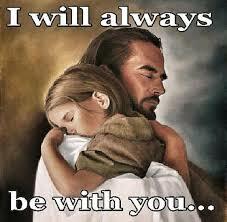 Jesus is also surrounded by his friends and his mother who in sorrow watch him from a distance. On the cross Jesus showed the kind of king he would be: One who distributes his gifts generously. He gives and gives without counting the cost. 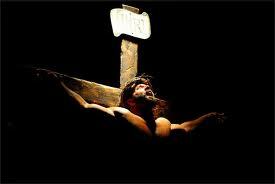 On the cross Jesus showed himself as a king who saves: “Father forgive them for they know not what they do.” One of those crucified with him demands what he clearly regards as impossible –that Jesus saves himself and those with him. The other thief is the only one who adopts the attitude proper in the presence of a king -to make supplication. He is rewarded with a promise that consoles and strengthens believers down the ages. To be part of his kingdom we have to submit to His loving rule which leads to true freedom. Baptism introduced us to His kingdom; we must see that we are faithful citizens by following in His footsteps, working for the spread of his kingdom by leading loving lives in the service of his people. During a cruel war, a commander took an oath in the presence of his troops that he would slaughter the entire population of a certain town, and in due course the bloodhounds of war were let loose on the defenceless people. Now it happened that a fugitive, seeking shelter, saw a sight which was indirectly the means of saving his life and the lives of others. He spied a number of soldiers as they broke into a house, the inmates of which they had put to the sword. On leaving they fastened up the place again and one of them dipping a cloth in a pool of blood, splashed it on the door as a token to any who might follow, of what had taken place. Quick as his feet could carry him, the fugitive sped away to a large house in the centre of the town where a number of his friends were concealed and breathlessly told them what he had seen. It at once flashed upon them how to act. A goat was in the yard. It was immediately killed and its blood splashed on the door, scarcely could they close the door again when a band of soldiers rushed into the street and began to slay right and left. But when they came to the blood marked door they made no attempt to enter. The sword –or so they thought- had already entered and performed its work in that house. Thus, while many around were put to death, all inside the blood sprinkled door were saved. 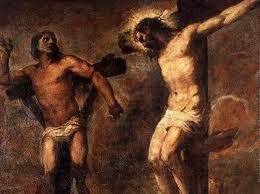 -Do we find joy in serving a crucified Lord and King? Won’t you come down, King? A king once fell in love with a poor girl. At first he thought of simply bringing her to the palace and marrying her, but he realized this wouldn’t work since she would soon realize the immense difference in their backgrounds and not be happy. After much reflection, he decided to renounce his kingdom and go and live near her so that she’d realize how deeply he loved her. Shocking one and all, he left the palace. This story –adapted from philosopher Kierkegaard’s original –somehow reveals to us the great love of our king Jesus Christ, who ‘comes down’ that we might be raised up. Jesus did not have a sceptre but he did have a towel. He did not have people bowing backwards from his presence but he himself bowed instead and washed their feet. He had no army but He did have disciples. He sat on no throne but rather on a donkey’s back. He wore no crown of gold but of thorns. He did not take life but gave it. He did not set boundaries but included prostitutes, tax collectors, foreigners and good thieves in his kingdom. He did not exploit people but spoke sympathetically of widow’s mites, prodigal sons, good Samaritans, and poor farmers. He did not wield the sword but mercy. 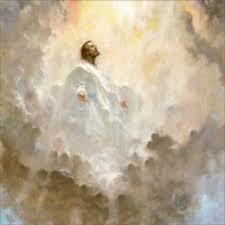 He said: “Today, you will be with me in paradise.” Jesus is a compassionate King. Shouldn’t we be compassionate? Mother Teresa told how one day in Calcutta she picked a man out of the gutter and brought him to the home for the dying. Before he died he said to her, “I have lived like an animal but dying like an angel, loved and cared for.” Mother Teresa remarked on the greatness of a man who could speak like that and who could die without blaming anyone or cursing anyone. 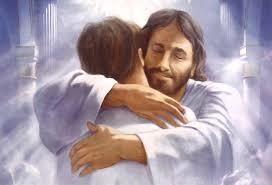 She felt privileged to have been able to help him to live out his last hours feeling loved and cherished. Here is a man who had lived through a life of hell who had a luminous death. dominates. May His Word and life challenge us! to Christ's uniqueness, there is none other like him. 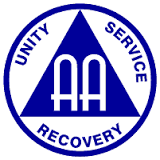 sovereign to embody such principles." all inside the blood-sprinkled door were saved. Jesus, remember me in your kingdom!